John Byrnes has a long history with Addison Gilbert Hospital. In 1948, when he was 5 years old, he fell out of a tree and broke his arm while his family was visiting Cape Ann. His parents called the local doctor, who came over, drove John to Addison Gilbert Hospital and set his arm. John’s parents bought a house in Rockport in 1975 and visited Addison Gilbert in their later years. 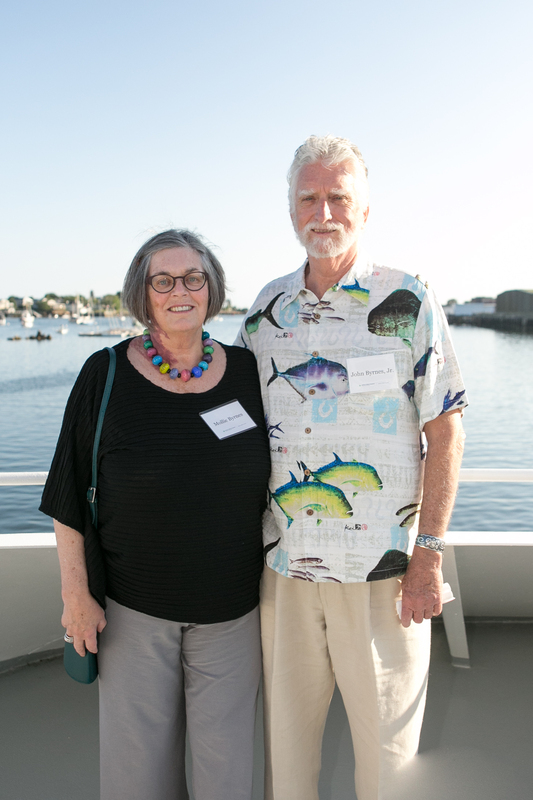 When John retired from a career in Boston’s high-tech industry, he moved with his wife Mollie to Gloucester and has since received services at both Beverly and Addison Gilbert hospitals. When John made an emergency visit to Addison Gilbert for the treatment of a previously undiagnosed heart problem, he and Mollie were so happy with his care that they decided to give a $150,000 challenge grant to the hospital’s cardiology suite in 2015. “As the residents get older on Cape Ann, there’s a great need for cardiology care here,” John said. His cardiologist, Michael Arsenian, MD, also treated John’s parents. “He’s a star,” John said. Now they have given an additional key leadership gift of $625,000. Of these funds, $500,000 will be used for capital improvements at Beverly and Addison Gilbert hospitals, and another $125,000 for cancer operations at both hospitals (split between the Beverly Hospital Center for Cancer Care and the Gortons Specialty and Cancer Care Center at Addison Gilbert). The Byrneses are committed to strengthening many of their community organizations. “When I am deciding which organization to donate to, I choose ones that serve the entire community, and those that help people most in need,” Mollie said. In addition to hospitals, they are strong supporters of many local organizations including the YMCA; a local food pantry called Open Door; Pathways for Children, which provides education and care programs; and Wellspring, which focuses on homelessness prevention, emergency shelter placement and securing long-term housing. Mollie was on the board of Rockport Music when the organization developed its Shalin Liu Performance Center in downtown Rockport. She serves on the board of the boarding school she attended, which is now the Walnut Hill School for the Arts. John serves on the board of Pathways for Children, and John and Mollie serve on the Essex County Community Association Advisory Council, as well as the board of the Peter and Elizabeth Tower Foundation, founded by Mollie’s parents.